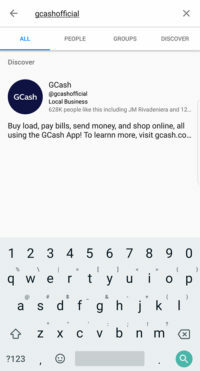 This program is available to all GCash in Messenger users. 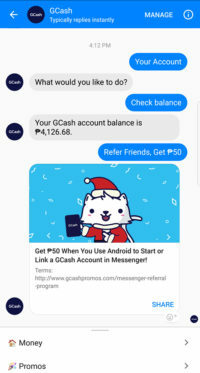 Referrer must have a GCash account linked to his Messenger account while referring a friend in order to earn a promo reward. Participants should have created their Facebook / Messenger accounts BEFORE September 13, 2018. Rewards will be limited to referrals made within the promo period only. Multiple account linking and unlinking will not be considered as valid. Only one unique GCash account per unique Facebook account will be valid for rewards. 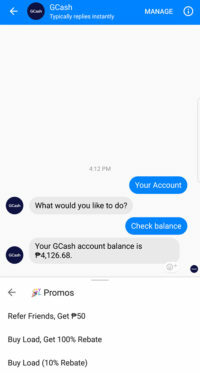 Share the service to friends who are not yet on GCash in Messenger thru the Messenger bot. Promo message cannot be shared to a group of contacts or a page (must be shared individually to a Facebook contact). 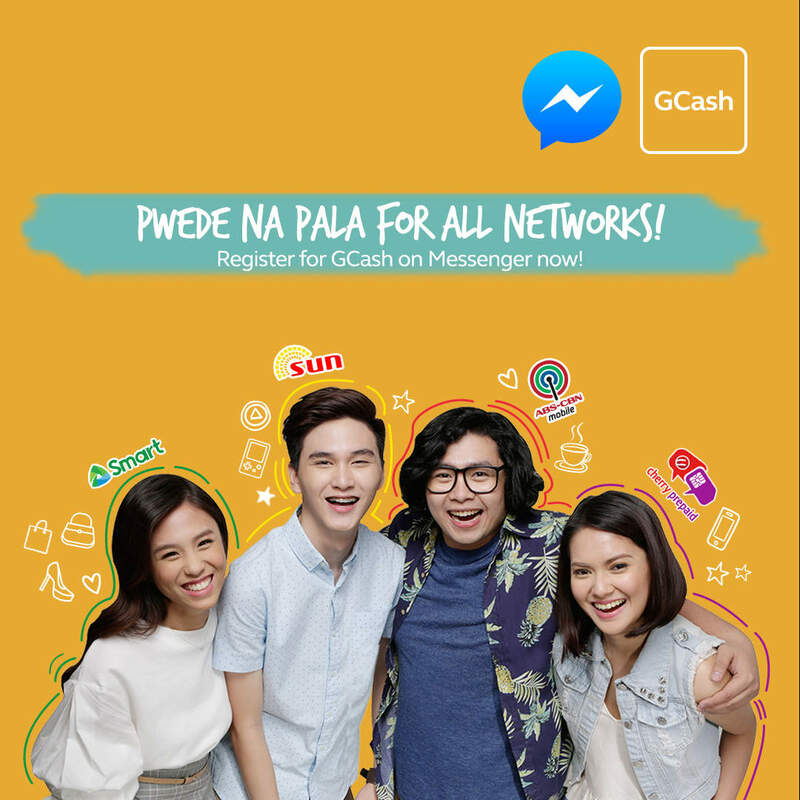 Your friends must register or link their GCash to Messenger for both of you to be eligible for the reward. Once confirmed valid, seeding of reward will be done within 3 working days. Only a maximum of 25 referrals (or P1,250) will be rewarded for the duration of the whole promo period. The GCash Referrals Rewards team has the authority to deny the conversion of rewards for incorrect, false or fraudulent referrals. The referral incentive will expire if left unused after 1 month / 30 days. Get P50 when you refer a friend to create or link their GCash account to Messenger. Your friend will also get P50. What is the flow of the program? 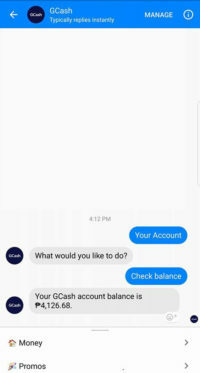 Open to existing customers who have a Messenger account linked to GCash. User A (referrer) shares the service to a friend (User B) thru the Messenger bot. User B must create or link their GCash account to Messenger for both Users A & B to be rewarded. User A cannot refer himself. Backend reports will be used to validate the referral (24-48 hrs from referral date). Once confirmed valid, seeding of rewards will be done (48-72 hrs from referral date). When will I receive the incentive? Customers with valid transactions will receive the incentive 3 working days. Customers who have created or linked their GCash to Messenger, and whose Facebook accounts have been existing BEFORE September 13, 2018. Do I need to pay anything for this incentive program? There is no need to pay for anything in this program. Can I refer my FB Account but with a different mobile number? No. Only unique FB ID’s and mobile numbers are valid for the promo. FB ID: user.1 links to 09171234566 – this is not a valid referral because it has duplicate FB ID. What if there are multiple referrers to one customer?